This is a large and wide river that results from the confluence of the Alumine River and the Catan Lil River . The course of the river runs through a beautiful valley from north to south. The width varies from 70 to 150 feet alternating with long and extensive pools. As the season comes to an end these pools are filled with brown trout that can be of enormous size returning from the reservoir of Piedra del Aguila. The river meanders and its main tributaries are the Chimehuin River , the Quemquemtreu Stream and the Caleufu River , the last river that flows into the Piedra de Aquila reservoir. The banks of the river change from wide open stretches to sectors of dense vegetation. 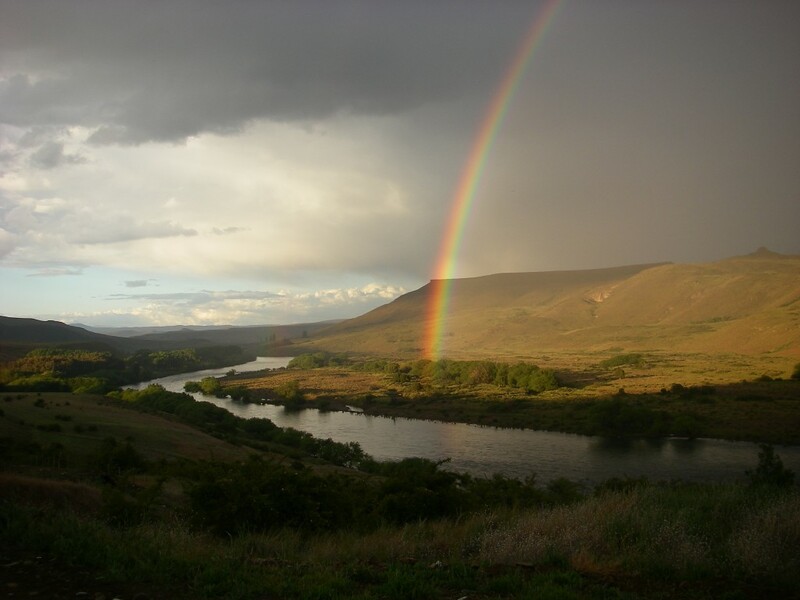 It is highly populated with rainbow and brown trout. Their sizes range between 1 to 5 pounds with an average size of approximately 2 pounds. Throughout the season it is not uncommon to catch trout in the range of 6 to 8 pounds and even some larger trout on occasion. 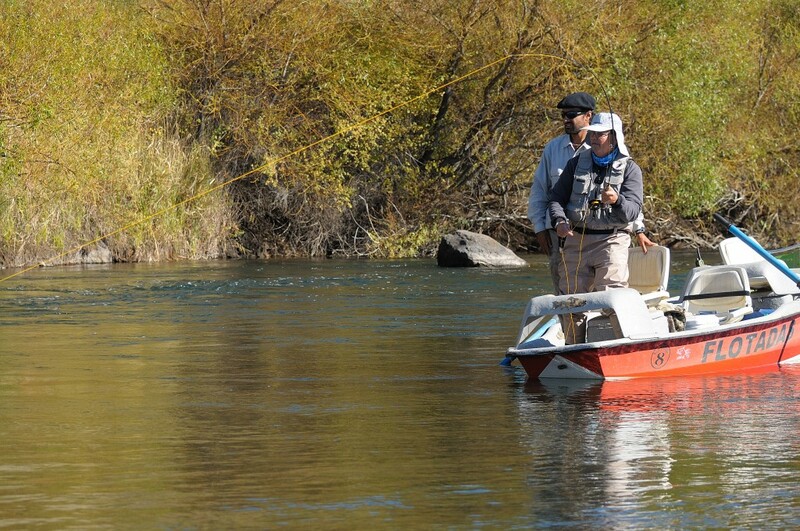 It is important to understand that the best parts of the river are only accessible using boats. As well as the lower Alumine, the lower Collon Cura has a really long stretch of water where the best way to fish it is by floating it on an overnight trip of one or two nights. This stretch is specially good in March, April and May. During these first two month the Collon Cura has millions of minnows which are “hunted” by rainbows and browns becoming a huge resorce of food for the fish and allowing the fisherman to have a unique fishing experience. In April and May big browns form the reservoir start swimming upstream for spawning. Floating this area and fishing with big streamers is a great opportunity to hock a Big fish! The recommended rod size is a number 5 to 7 weight rod between 8 ½ to 9 ½ feet long with a quick sink line such as a Teeny Line or Shooting (III or IV). It is recommended that you utilize streamers and nymphs with hook sizes between number 4 and 8. The deep sectors of the river it is best to use Woolly Buggers, Muddlers, Gray Ghosts, Matukas, and Rabbit patterns. In other sections where there are small arms of the river, wind allowing, a number 3 or 4 weight fly rod with floating lines is recommended for fishing both nymphs and dry flies.